Conservative training plans for endurance athletes in search of a program focused on preventing injuries. When you are injured, you have nothing. When you are functionally sound, you can optimize fitness, then achieve your training and race potential. Use these plans to train strong and smart, and to keep time in your schedule for your friends and family. 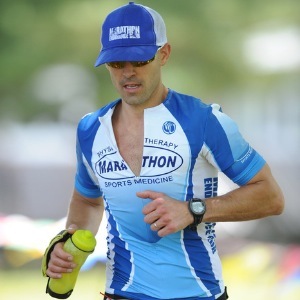 Adam Goodrich, CSCS, FMSC, PN1 is a Level 1 USAT Certified Triathlon Coach. He is a graduate of the University of Massachusetts with BS in Exercise and Health Science. Adam is also experienced endurance athlete having completed all race distances for running (5k, 10k, 13.1, 26.2, 50k, 50m, 100m) and triathlon (Sprint, Oly, 70.3, 140.6). Other endurance achievements include traversing the country on foot (Washington State to Florida), and completing the Rim-to-Rim-to-Rim Grand Canyon trail run. Adam works full time at Marathon Physical Therapy designing and implementing fitness and wellness programs for individuals, teams, schools, and businesses. Success. Coach Adam Goodrich, CSCS, USAT, FMSC has been notified of your message.